The governmental has announced some disinvestment in the governmental defence industry like 10 par cent in HAL, which does not amount to much change. But the government has shown inclination to major changes in the Ordnance Factory Board (OFB), which administers 42 armament and ammunition factories. 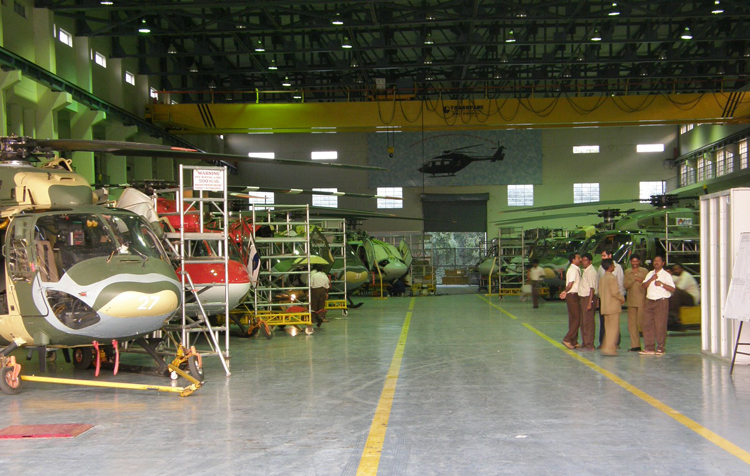 Some noncore areas of weaponry to the private sector, including ammunition production have been opened up, and now the plan is to identify some factories and tie up these with private-sector defence companies; the four units identified for the public-private partnership (PPP) model being Small Arms Factory, Ordnance Factory Tiruchirappalli, Rifle Factory Ishapore and Ordnance Factory Korwa. The majority of the products that are being produced by the OFB are of Russian origin, but it is mostly of assembly nature with very little technology absorption. As such, the level of indigenization is very low. But these intended moves for privatization are being vehemently opposed by the governmental defence employees. Three defence employees unions, the All India Defence Employees Federation (AIDEF), Indian National Defence Workers Federation (INDWF), and the Bharatiya Pratiraksha Mazdoor Sangh (BPMS) are preparing for massive demonstrations in Delhi on December 28, followed by indefinite strike, a decision to the effect having been adopted on October 12, in a joint declaration by the Struggle Committee of Defence Civilian Employees to Save Defence Industry, a forum consisting of AIDEF, INDWF and BPMS. The joint declaration has also criticized: government's decision to give licenses to 222 private companies for defence manufacturing; ease the license policy with 100 par cent FDI being allowed for products including those being manufactured by Ordnance Factories; "arbitrary decision" to outsource 143 items being produced by Ordnance Factories, and; decision to stop production of military vehicles at the Vehicle Factory Jabalpur. If the MoD is arbitrarily taking the decision that Army cannot seek no-objection certificate, doesn't it confirm the MoD-DRDO-OFB nexus that is pocketing huge profits both over and under the table in the name of defence? And, why combat uniform cloth cannot be declared non-core item when it is available across the country with private vendors? Besides, the combat uniform cloth in question is produced by private mills, not Ordnance Factories, and where private sector is coming in for manufacturing of aircraft and helicopters, why this resistance to stitching combat uniforms by private sector? The best kept secret is that the bulk stitching of combat uniforms is also outsourced by Ordnance Factories, which can be verified from Ordnance Factory, Kanpur. So, can you have a more institutionalized corrupt set up – buy cloth, outsource stitching, and charge the Army four times the price? The Defence Minister needs to step in to break the logjam.